I recently bought an octopus print much like this one. I never thought I'd own one but as I stare at it, I like its mystery, its other worldliness...there's much beauty here. 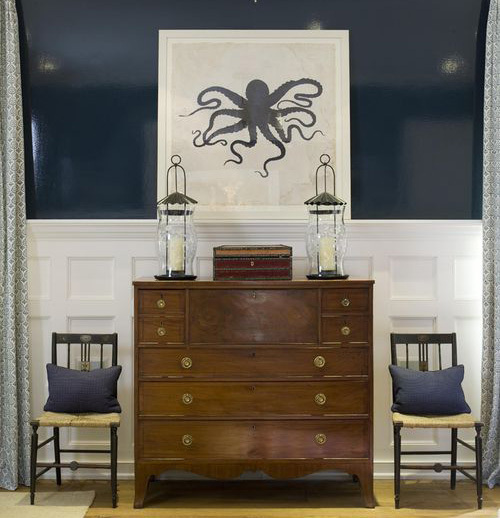 Artist, Thomas Paul has embraced the octopus more than any other. 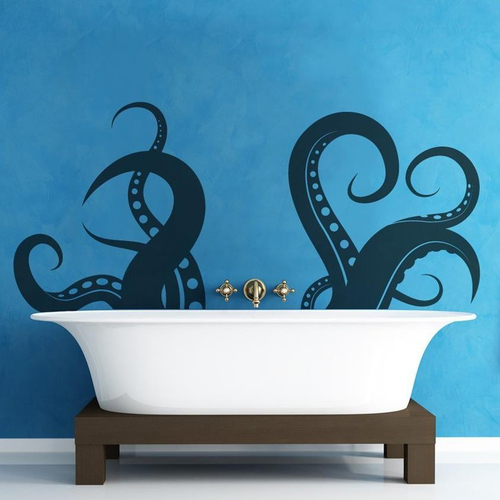 He has created octopus bedding, dishware & towels. The top right plate comes via ibella. This bright red octopus pillowcase comes from the Texas based shop, Royal Kane. The vibrant pillows are via Dermond Peterson.